She knew that subst.i.tute player? a.s.sistant Su subconsciously glanced at Ye Shaohua, but he saw her with one hand in her pocket and another holding her phone. She hooked her lips looking at him. This matter would have to wait until 10:00 tomorrow directly at the start of the news conference. It could not be revealed now. Shen Weiwei was stunned, she just thought that it was not unusual that, Su Yunxuan, this kind of character, could find a person in such a short time. She nodded her head and, when she wanted to leave, she finally saw Ye Shaohua and her group. “This is…” Shen Weiwei finally paid attention to Ye Shaohua and paused on her face for a while. In an instant, she started guarding against her. “This is Miss Ye Shaohua.” Manager Su did not dare to say more. Hearing Manager Su's words, Shen Weiwei immediately let go of the worry in her heart. It turned out to be that person who used a subst.i.tute to play. Thinking about Su Yunxian who loathed people who were fake the most, Shen Weiwei did not pay any more attention to Ye Shaohua and directly left. The side mission concerned live broadcasts, becoming Glory's G.o.ddess. The Fang clan all awfully spoiled her, this child who lost her mother. When Ye Shaohua returned, she saw that her grandmother had already prepared a live broadcast room for her. Her grandfather was even more impressively direct and gave her a streamer account. All the incoming people could see that she was a newcomer anchor. Even if she still a female student, her name was on a lot of the list of streamers. Naturally, there were are many sour words. The bullet screen was almost completely full of swears and curses. Her voice was deliberately lowered, with a little Susu tone, not delicate nor charming. However, it let people feel comfortable. She sounded like a cold G.o.ddess that infected people with fireworks. It made it that the people saying nauseating sentences couldn't help but stop. The first character she played was Luna, who was difficult to control. Her older female cousin lent her her King of's 20-star account. Her voice sounded and lazily dispersed. A set of obscenities arrived and incessantly painted the bullet screen   [kneel to you]4. What else could you say about a good little female student who played well and had a voice so pleasant to hear? However, this Zhuge Liang was not a good character to play, because she was matched against professional player Zhong Shan's Diaochan. [Overbearing President Chacha]: You ran into Buddah Zhong Shan. If you win, I'll send you a submarine! [Please call me tall flower]: The Country's number one, Zhong Shan. One head5 and I'll coolly send a gift to Anchor. [Set a small goal]: Anchor you can do it! But losing is also fine. Playing face to face, in the early game, Zhuge Liang went to the middle lane before the other four person, and once again grabbed the blue buff. Ye Shaohua’s teammates would not be able to play. After all, this was a game of eating your teammates6. In the early stage, Ye Shaohua's play was awfully difficult to bear. She lead troops, stole the pig and stole wild monsters. The bullet screen once again began to take off in rhythm. Can such a person be an anchor? They only knew that the troops were still robbing the field? The bronze level was verified! “I said you die but you still live? There is no existence. Look, you don't have it. This is my real strength. I gave them three people in the early stage as a present. I am afraid that I played too ruthlessly and they surrendered directly. " “Look there is no one left. This is my real strength.” Ye Shaohua said while beaming. Zhuge Liang, who was targeted in the early stage, finally took 18 heads and 5 a.s.sists in an unstoppable manner. This first live broadcast, because of her skills and obscenities, there were hundreds of thousands of people who subscribed to her. The highest number of people subscribed to a streamer was more than two million. She was already comparable to a common anchor. When the broadcast ended, a lot of fans were reluctant to part and remembered her swearing with longing. The next day, when Ye Shaohua got up to go to school, her older female cousin and a group of people had a somewhat angry expression at the dining table. She noticed and listened for a while. It turned out that Fang clan's popular and very promising anchor Yu Qichen had left yesterday night to go meet with Ye Clan and had been dug out8. At the time, because of his relations.h.i.+p with Ye Shaohua, Fang Clan gave Yu Qichen a lot of recommendations. He now had millions of fans. They didn't expect him to leave at this crucial moment and go to Ye Family. The site traffic of this Fang Clan's live broadcast platform suddenly declined. Her maternal grandfather and his group were struggling because of this. The older cousin held a computer in her hand. Just as she was saying something to the grandfather, Ye Shaohua, while holding steamed stuffed buns in her mouth, reached for the keyboard of the computer and pressed a few keys down. Finally, she pressed the Enter key and a person’s information appeared on the screen. “Grandpa, listen to me, you go talk to him. You thought that I didn't know how to play the game, but look, haven't you been surprised now?” Ye Shaohua finally left the door, only leaving these few words behind. She was naturally not speaking empty words. In the story line, this top student's disposition was p.r.o.ne to acting. After being broadcast live on a platform, he was picked by a big-name director. He won instant success. In a short period, he became a front line celebrity and brought hundreds of millions of traffic to the live broadcast platform. After becoming a front line star, his main activity was still on that platform. That platform later became second only to Su Clan's. After she left, her grandfather looked pensive. Ye Shaohua, Xu Feifei and Yu Qichen were both in the same cla.s.s. When she arrived in the cla.s.s, the lively cla.s.s became quiet for a moment, and it took a while to restore the noisy atmosphere. Yu Qichen naturally saw Ye Shaohua. When he saw her, a bit of disgust flashed through his face. At that time when he was together with Ye Shaohua, it was just a gamble. Not to mention that they broke up yesterday. Originally, he felt a little bit guilty about Ye Shaohua. But, thinking that she would unexpectedly use a subst.i.tute player, this kind of hateful matter, it immediately made him disgusted. He looked but also not looked at her. Then, as before, he chatted with Xu Feifei sitting next to him. Ye Shaohua looked at Yu Qichen’s appearance. In the bottom of her heart, she felt it was not worth it for her predecessor to abandon her ideals for such a man. When her mama had not married into Ye Family yet, she was still called Miss Ye. 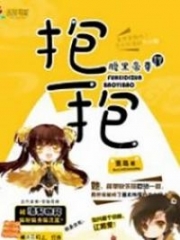 Everyone, I tought that Author created a game for her story but author actually used a real life game : https://en.wikipedia.org/wiki/w.a.n.gzhe_Rongyao which is a League Of Legends game but on mobile phone ! You're Read Special Agent's Rebirth: The Almighty Goddess Of Quick Transmigration Chapter 43 online. If you find any errors or translatation mistakes, please let us know so we can fix that as soon as possible. Current Time is 19-Apr-2019 16:13:56 PM.